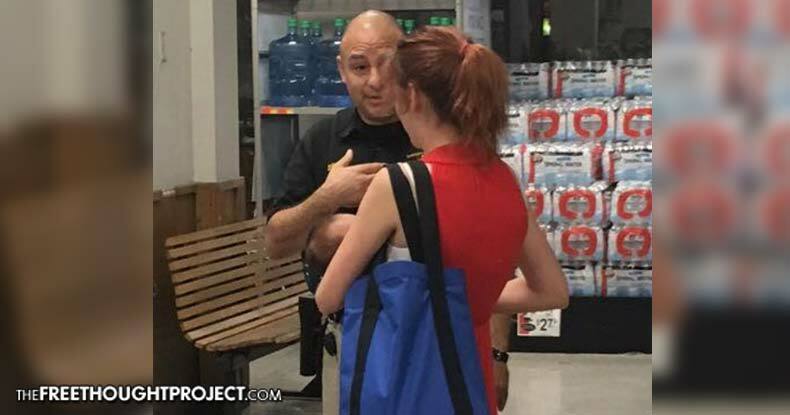 Infuriating -- Cop Threatens to Arrest Breastfeeding Mother Because it Was "Offensive"
Upon being accosted by the officer, Savvy Shukla uploaded a photo and post addressing the incident that took place while in a Piggly Wiggly grocery store with her two children and sister. Being aware of the law surrounding breastfeeding in Georgia, she attempted to inform the deputy that she was legally allowed to breastfeed her baby in public. The officer, most likely feeling threatened due to Shukla’s stated knowledge of the law, promptly responded by attempting to assert his perceived authority by claiming she only thought she knew the law. He then proceeded to threaten her with arrest. “I’m so upset about it and I understand why this type of harassment can cause moms to stop,” she added. 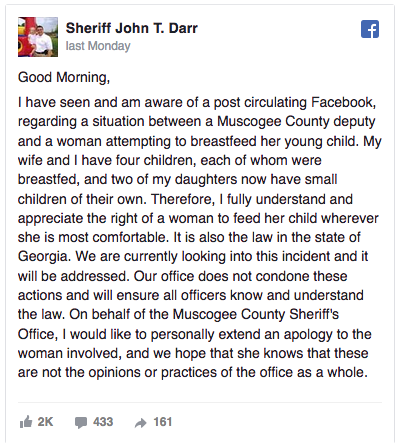 After Muscogee County Sheriff John T. Darr found out about the incident, he initially took to his Facebook page Monday morning to clarify that breastfeeding is legal in Georgia, and extended his apologies for the incident. It doesn’t take a rocket scientist to figure out that the deputy got caught violating Georgia state law, and his superiors, rather than hold him accountable for his actions, chose to circle the wagons and begin victim blaming. Feeding a hungry child is no crime, and victimizing a mother feeding her baby is utterly reprehensible. No woman should be accosted by law enforcement for simply feeding her hungry child.